Built-Rite Tool and Die is a mold-making and design firm based in Massachusetts USA, with expertise in precision mold manufacturing. They specialise in the production of molds for plastic injection molding. These molds have complex designs, requiring extensive and precise execution. Small to mid-sized businesses like Built-Rite face increasing pressure from international and domestic competitors. Overseas manufacturers offer lower prices and domestic prototyping shops offer quick turnaround times for small quantities of parts. 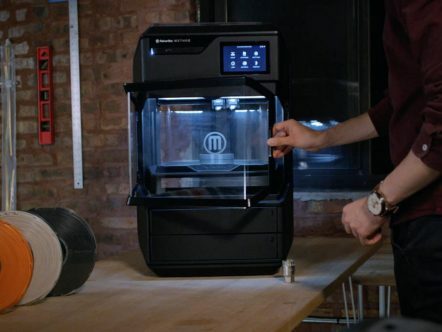 The ability to iterate quickly is critical to winning project bids and for meeting tight deadlines – this is where 3D printing is a major benefit for them. 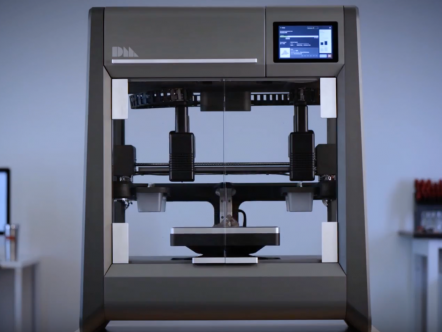 The Studio System introduces the ability to make quick-turn mold assembly components with a process that is far less labour-intensive than other equipment in their machine shop and more cost competitive than a third-party prototyping firm. 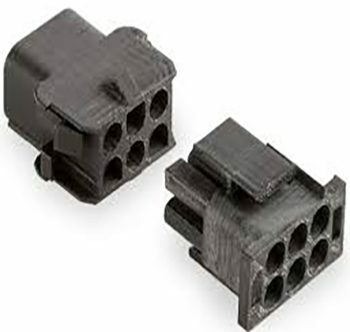 Plastic injection molding is a manufacturing process for producing parts in high volume. For mass production, injection molding offers low cost-per-part, repeatable outcomes and minimal waste of the injected material. A mold is made up of many complex cavities, inserts and cooling channels. Mold tools must be able to withstand repeated impact and exposure to high-temperature polymers – making wear resistance a critical feature. 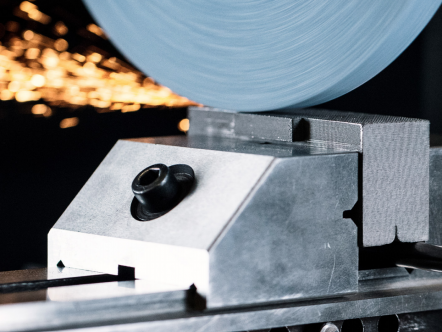 The Studio System uses a technology called Bound Metal Deposition where metal rods – metal powders and polymer binders – are heated and extruded onto the build plate, shaping a green part layer-by-layer. Built-Rite identified an existing mold cavity insert for initial testing. Compared to a third-party prototyping shop, the Studio System achieved reduced cost and lead time, as well as a reduction in part weight and amount of material used. Injection Molding tools require tight tolerances to fit the assembly, as well as a polished finish on surfaces that make contact with the injection plastic so that the part can be easily injected from the mold. In it’s as-sintered state, part performance was evaluated based on two post-processing stages to observe variation on process parameters and material behaviour, and then functional testing to observe the part in use. 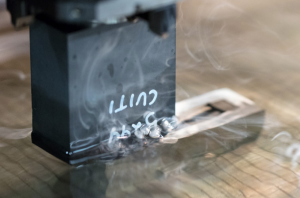 Surface Grinding: Built-Rite’s machinists ground the surface of the 3D printed mold inserts to achieve required tolerances and surface finish. They assessed whether any special handling was required and determined that the parts heated similarly to other tool steels and did not present any issue in sizing or fitting the inserts into the mold assembly. Electric Discharge (EDM): Machinists used EDM to achieve the required surface finish on the cavity surfaces of the insert. They assessed the need for varying the parameter setup, electrode wear and resulting surface finish. 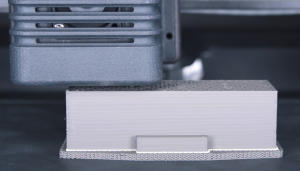 They determined that it was not necessary to vary the EDM parameters for the printed parts and the electrode wear was comparable to non-printed inserts. There were no notable differences in surface finish. 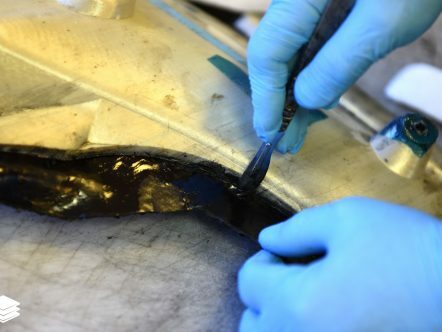 Functional Testing: After post-machining, the insert was installed in the mold assembly and used to produce plastic parts made of acetal – a non-abrasive, low friction plastic material. The temperature of the plastic when injected into the mold is 205°C and the mold itself is kept at approximately 82°C to 121°C. A test run of about 1000 cycles showed no flaw in the plastic parts produced and the 3D printed insert showed no sign of wear. The success of the initial evaluation indicate the potential of the Studio System for injection molding applications. The system enables injection mold manufacturers to improve operations and realize the benefits of additive manufacturing without relying on third-party vendors. 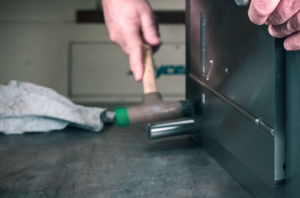 In response to unexpected design changes or short turnaround times, the Studio System allows mold-makers to iterate on designs faster and at a lower cost than outsourcing to a third party mold service.